Last Wednesday, Valentine’s Day, Litecoin came up smelling of roses. The cryptocurrency that is considered the silver standard to Bitcoin’s gold, sprouted a 34 percent uplift in a matter of hours to peak at $327. 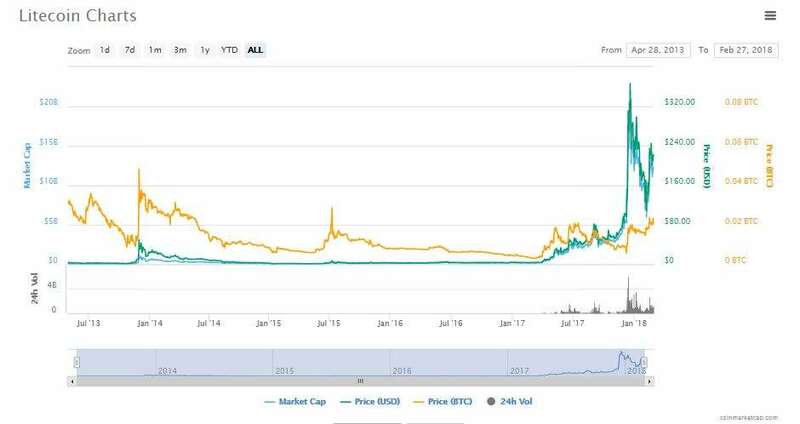 “LTC has outperformed BTC” – [since he sold all his LTC]. 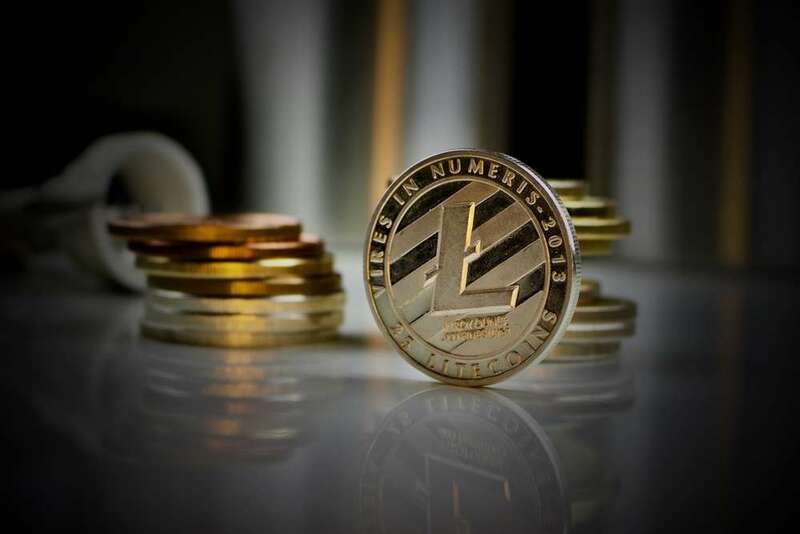 Following a raft of positive news about the technology behind LTC tokens, the cryptocurrency community is anticipating a swathe of Litecoin price predictions for 2018. So we’re chipping in ahead of the game. 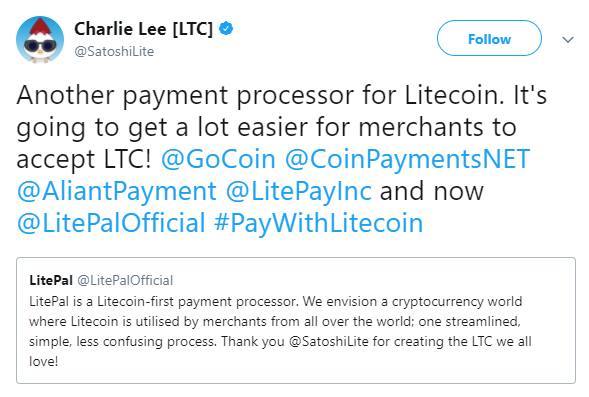 One of the contributing factors influencing the Litecoin surge is attributed to the company’s release of LitePay – a new payment system for Litecoin which launched on 26th February. The technology will allow users to buy and sell products anywhere Litecoin debit cards are accepted, or withdraw cash from compatible ATM’s. Although not widely reported on just yet, when the news that Microsoft has announced its intention to use the Litecoin platform as a foundation for it decentralised identity system, LTC is expected to experience a bull run that could top Bitcoin’s momentous climb last year. Research analysts are already calling Litecoin a “game changer”. – Palwasha Saaim, Lombardi Financial. Launched in 2011, Litecoin eradicated some of the flaws that are inherent in Bitcoin; Litecoin can facilitate financial transactions faster than Bitcoin at near-zero costs and will have four times as many coins than the leading cryptocurrency, capping at 84 million versus Bitcoin’s 21 million. The fourfold increase in coin supply and the ability to process transactions four times quicker than the Mother Coin means Litecoin is set to become the first digital asset to break down the cash barriers and propel itself into the mainstream. Just how close that future, remains to be seen, but the smart money says Litecoin will be adopted by mainstream retailers in the very near future. Probably this year. Because the Lightning Network allows instant payments to be made over the blockchain and security is enforced by smart contracts. Litecoin technology is also equipped to handle billions of transactions per second at exceptionally low fees. Considering the advantages Litecoins offers, experts expect LTC prices to rise exponentially in 2018. Furthermore, as more retailers add Litecoin to the payment gateways, the number of developers taking an active interest in LTC tokens will also increase and make further improvements. This too will impact the value. But how much is Litecoin predicted to rise in 2018? One of the more conservative Litecoin price predictions comes from Walletinvestor.com. The market forecasting site predicts future values from technical analysis of the coin’s historical movement. At the time of writing, Litecoin is valued at US$225 which Walletinvestor claim will almost double to US$411.79 over the course of a year. Other analysts are more optimistic. There’s a lot of excitement surrounding Litecoin in the crypto space right now. Some cryptocurrency commentators are predicting LTC will topple the US$1000 mark. The general consensus is that users will switch from Bitcoin to LTC because transactions are quicker and less expensive – and because LTC is currently undervalued. For Litecoin prices to rise over $1000, crypto enthusiasts and investors will have to consider the feasibility of the technology in comparison with competing currencies that have comparable functionality – namely, Ripple (XRP) and Cardano (ADA). Both rival coins are equal to, if not better than LTC. It has to be said that Litecoin does have the potential to become a dominant digital currency, and because virtual tokens are limited in number, more than one currency will be adopted by retailers and payment gateways. However, the value of digital currencies could still be negatively affected by financial institutions. What Influence Do The Banks Have On Litecoin Prices? The collapse of crypto prices in January was mostly due to pending regulations. Banks in the US, UK, China and South Korea stunted trading on cryptocurrencies and governments are rolling out regulations. Litecoin’s price hike on the 14th coincided with reports that the South Korean government will do a u-turn on its ban. South Korean officials had hinted they could follow China’s lead and outlaw virtual votes altogether. However, Bloomberg reported policymakers would focus on making cryptocurrency trading more transparent and introduce regulations to fall in line with other financial and tax laws. The natural question to ask is how much will financial regulations limit the growth of Litecoin and other cryptocurrencies. Furthermore, how will government intervention conflict with the long-term view of wrestling the financial system away from the control of corrupt bankers and establishing a decentralised system? Cryptocurrencies are not above regulation and installing financial controls on trading will actually stabilise a highly volatile market. However, before regulations are in place, market manipulators could run a pump and dump scheme to grossly inflate Litecoin prices. The most sensible pricing structure we’ve seen for Litecoin comes from Longforecast.com who predicts a steady increase with a 202% increase by the end of the year. Hold on to your tokens though, because they could be worth a tidy sum of $US1459 towards the end of 2020. It appears cryptocurrencies will survive yet another rocky patch and 2018 could be the year LTC becomes a household currency. For more information, visit our article explaining Why Litecoin Is a Good Investment. What are your Litecoin price predictions for 2018? Let us know in the comments box below!